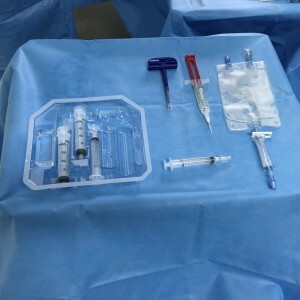 The surgeon collects bone marrow from the patient’s own body (autologous) and concentrates it to the optimal level while keeping all cell types, including stem cells and other cells that perform distinct functions in the body. successfully maintains cells in their natural plasma microenvironment. It produces reliable and consistent loads which can then be used in surgery to improve levels of healing, increase fusion rates and to recreate the natural environment. BMAC is commonly used by Mr Kearns in treating osteochondral lesions (OCLs) or during major osteotomies.